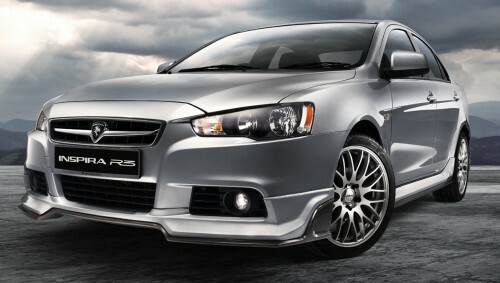 And we’re back with more details on the new Proton Inspira R3. We’ve managed to obtain one high resolution product marketing image, which seems to depict a different alloy wheel design compared to the pictures in the classifieds ad that we posted earlier. The blacked out grille that we saw on the previous set of photos is also not shown, so it could be that the earlier set of photos are from an earlier prototype. The Proton Inspira R3 is only available in the 1.8 manual transmission variant, and is limited to 100 units. Basically anyone who buys an Inspira 1.8 manual for the OTR price (RM78,549 solid, RM78,999 metallic) will get an Inspira R3 with all the added R3 bits included (bodykit, 18-inch alloy wheels with tyres worth RM9,000), until the 100 units run out. Booking opens now and ends on December 31, 2011, so you’ve got about two months to go grab your manual transmission Inspira R3. Registration and delivery starts in the second week of November. Colours available include white, silver, red and black, but we hear a majority of them are white.